- Renowned American industrialist and philanthropist from the early 20th century. - Founder of Carnegie Steel Company in Pittsburgh - the most profitable and the biggest industrial venture in the world - which later merged to become U.S. Steel. - Regarded as the second richest person in the history of mankind, with a net worth of about 298 billion USD (2007). What's Inspiring about Andrew Carnegie's Story? First, he was not born with those riches! Andrew Carnegie was born in a one-room cottage in Scotland, shared by two weaver's families. At the verge of starvation, and looking for prospects of better life, his father emigrated with his family to the small town of Allegheny in Pennsylvania (USA), when Andrew was just a child. To support his family, Andrew started working at the age of 13 in a textile mill, for 12 hours a day, to get paid $1.25/week. A couple of years later, he moved on to work as a messenger boy in a telegraph company, for twice the salary, and got promoted as an operator within a year. In another couple of years, he was hired by Pennsylvania Railroad Company for $4/week, and advanced rapidly through the company. It was here that he started out with his very first investments, which formed the basis for his later success. So what was Andrew Carnegie's secret to success? He was willing to work as hard as it takes, he was persevering, was always alert for opportunities, and was an excellent on-the-job learner. His education consisted of extensive reading from public libraries - yes, he was a self-made man in every sort of way. And the second inspiring thing about Carnegie's story? He was a philanthropist to the core. 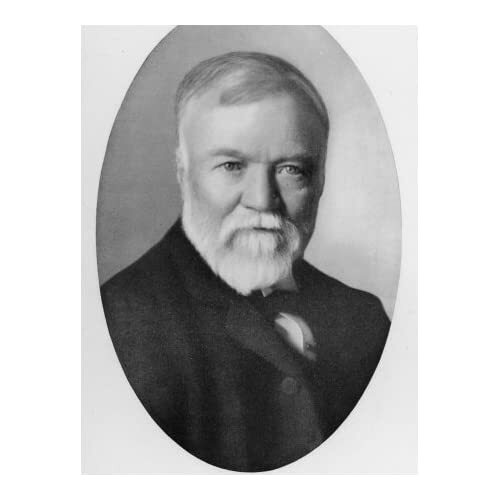 Andrew Carnegie is not only known for his success, but also for his magnanimous philanthropy. He gave away most of his wealth to establish several libraries, schools and universities in U.S, U.K and other countries. He also founded the Carnegie Mellon University and the Carnegie Museums of Pittsburgh, among other establishments. The best-selling motivational book of all-time - Think and Grow Rich by Napoleon Hill - draws on Andrew Carnegie biography and his "Law of Success" philosophy, and has the distinction of never being out of print since it was first published in 1937.